In the previous article – “How do You Know Who You Can Trust?” – I focused on some caveats related to detecting lies and misinformation and reviewed some details on nonverbal signals. Now – I would like to take a look at verbal signals as well as a couple examples of how lies of various shapes and sizes manifest themselves. 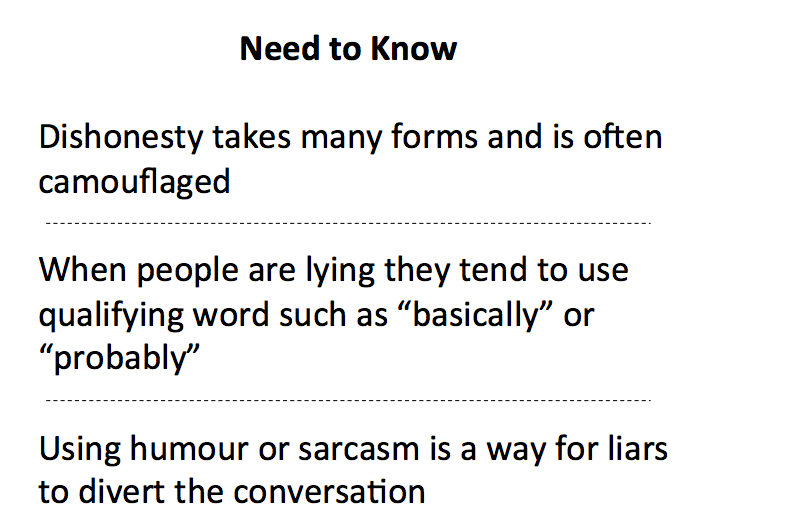 As a supplement to the previous articles and the above summary – I have pulled together a short list of verbal cues. As usual, I am starting with a vast amount of information (including some conflicting) with an objective of sharing something I can stand behind. So – based on past practice I will focus on things I have seen work. Unnecessary details: Try to be more convincing and imply not making it up. Story inconsistencies: Sometimes the (inexperienced) liar confuses themselves. Vocalization: Shallow/cracked voice. Changed tone/cadence. Speak of selves in third party: Obvious disassociation. Frequent speech emotes: “Um” and “uh” etc. Is it Dishonesty or Strategy? I am presenting the following mindful they sit at a fine line between dishonesty and ‘strategy’ but I include them since I think they illustrate how fair and efficient business is dependent on honesty at all points. In this case the situations range from about $1M to over fifty times that amount. Startups represent a unique context for several reasons. You could argue that if everyone involved did not have distorted reality they would not accept the risks that are inherent in startups. 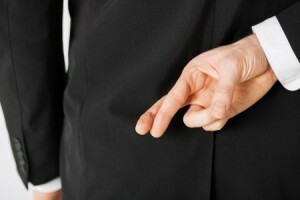 In fact, I have heard people say the ability to lie is paramount with a startup CEO. At the exaggerated risk of splitting hairs – we love optimism but we don’t appreciate falsified lab results, client expressions of interest, etc. Sadly, startups (management and investors) initially distort the truth out of enthusiasm and subsequently out of desperation. Ironically, if they are successful in misleading others (presumably to raise more investments) the most likely outcome is poor capital efficiency which comes back to bite them as they are diluted. 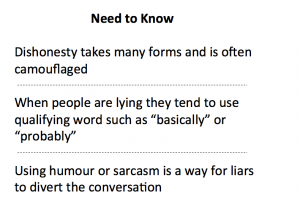 Is it possible honesty really is the best policy? The next two examples involve the same misleading approach. Basically, the concept is that one enters into an agreement/makes an offer knowing full well that just before the transaction closes you will balk and have significant leverage with the other party since they have so much ‘sunk’ time and costs. In our advisory business, we spent a considerable amount of time structuring a joint venture and subsequently marketing the services. As we were about to start our first (major) engagement our partner decided they wanted to retrade. Our options were to bend over or suffer the embarrassment with our client and the financial setback per the retrade. Our decision was simple – we would not bend over. We would (and will) endure any financial and reputational hit rather than pursue a partnership with dishonest people. The moral of these stories is that dishonesty takes many forms and is often camouflaged. For reasons I’ve described in this article you can never let your guard down. I hope some of what I have shared with you helps you in this regard. One conclusion I would like to propose here is based on the scope for dishonesty, the context for rewards and the difficulty in detecting lies as we have illustrated in these two articles. We have seen ample evidence that past behavior is arguably the best prediction of future behavior.